Education Details : B.Com From Greater Noida, Academical Education From Guru Teg Bahadur Public School Meerut. Occupation Details : Very Sharp Business Skill, Now Running A Leading Business Of Online Marketing. 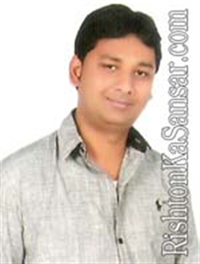 Father Occupation : M/S Saree Emporium, A Leading Saree Showroom In Valley Bazar Meerut. Sister's Details : One Married In A High Class, Reputed Business Class Family.